“Someone will come to me and say they need a car for an action scene. I’ll say, ‘I have an Escalade you can blow up. It’ll be a lot cheaper than if you tried to do it with a car from Avis or Hertz.’ ” All he asks in return is that the car is shown prominently, and that the scene doesn’t impugn the car’s safety record. It’s a scenario in which everybody — at least everybody involved in the transaction — wins. The car is given to the transportation manager, who’s happy he can check an item off his list at no cost. Marshall has satisfied GM and justified his retainer. GM, meanwhile, has gotten a free ad for little more than a car it wasn’t going to sell anyway. While a seamless blend of selling and storytelling might be every manufacturer’s dream, audiences are still a bit wary of being sold stuff when they’re not officially aware they’re the target of a hard sell. Like it or not, however, advertising has always part-funded mass entertainment, and it looks like product placement is a viable way, at the very least, of keeping production costs down. Hollywood’s SNAFU: Where are all the women? For those of us working in the industry, the San Diego State University’s Center for the Study of Women’s numbers come as no surprise. 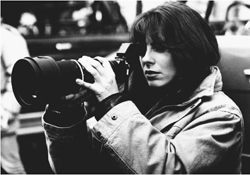 Their annual Television and Film report states that, despite Kathryn Bigelow’s high profile Best Director win at the Oscars last year, the number of women in prominent filmmaking positions has stagnated since 1998. A paltry 16% of key jobs on the top 250 films of 2010 were held by women (no change from 2009, and equivalent to 1998 levels). Just 2% of the movies had a female cinematographer, 7% were directed by women: it seems the male gaze is the only way we get to view things. As the list of this year’s Oscar nominees attests (as usual, women are nominated in barely anything but ‘actress’ categories), Hollywood is run by and for men. Women are actively discouraged from even pitching for big-budget projects, according to director Catherine Hardwicke in The Wrap, who thought she might have had a shot at directing The Fighter. So You Want To Be A Journalist…?